You ask Caius what it's like, and what all he can do. and then Caius wakes up, back in his body. He climbs to his feet, shaking his head. "It ain't great," he says. "S'like... when I'm a ghost, everybody else is kinda like ghosts. I only kinda see and hear you guys. I can't touch stuff, unless I really try to, and I get tired doin' that for more than a couple seconds." "I suspect it comes with being a partial manifestation," Dr. Finch says. "There is a spell in Geoangular Control for giving a ghost more presence temporarily... but we were hesitant to try and stack one magical effect on top of another. From the sound of it, manifesting more fully takes... focus? Energy? It requires some manner of exertion." "It'd be a risk," Michelle comments, "but if we needed a stronger imprint... there's always that Odin machine in Bunker E."
Dr. Finch breathes out slowly. "That there is. There is... that. Using it would require traversing Bunker E as an imprint, however, and we don't know what effect that may have." "I mean..." Michelle shrugs. "Tesla's an imprint, and she seems alright." "I'm no scientist, but," Fuse pauses, "would being Odin'd up make it harder to get back in your body? As cool as it would be to get Edison powers in astral form, I don't want anybody to get stuck as a ghost, either." "Hmm," Dr. Finch begins, "hm hm hm. That is a good question. Being given far too much power results in Faraday's state... but being given Tesla or Edison's amount of power may make you too much energy for your own body's design. Edison's touch certainly had negative effects on us, and trying to re-combine with your body in that form may result in you electrocuting yourself or... or or or overloading your brain. Possibly. ...I can't say with certainty, as much as I would like to. I would certainly recommend dialing it back, if there is a way to do that." "I could bulk myself up for a second or two to talk and move stuff," Caius says. "Y'know, when I was ghostin'. I ain't never done nothin' like that before, so... I dunno. Maybe somebody with better control could sorta... unbulk themselves, if they gotta." "It's very possible," Dr. Finch replies. "It's all very difficult to gauge purely in theory--we would need to test it, which... obviously incurs some risk." Mmm. Finding a way to discharge the extra energy prior to returning to the body would be advisable. Perhaps when we find a solution to Faraday's situation, it could be applied here. My thoughts exactly. We should see if we can rig up a battery that can be manually discharged into. Actually, Ilworth's power plant might be great for exactly that. We just need to be careful to be able to control the amount of discharge (least we get sucked in completely). Get a few more details, like did Caius have to breathe, and did he feel any adverse effects of temperature? More testing might be needed, but astral projection might be the safest way to check out the Martian cave.... if the soul is unable to be harmed. The Tradesmen mentioned that astral projection makes both the body AND the soul weaker, so I presume there must be things out there somewhere that pose a threat to disembodied souls. Whether or not those things exist on Mars, though, I'm not sure. Make sure Caius caught all of that about Bunker X then (not just the part Fuse got excited about). We should ask Caius how draining the experience is. If he feels relatively fine (like he'll recover in a few or several minutes) we should give the spell a try ourselves just for the experience. Just try manifesting to speak and then go back into our body. Otherwise we should hold back until operation Rat Race is done/underway; don't know how far we'll get and if we'll need to break this up into an operation over multiple days. Also if it'll take a while for the rats to get into position, we should make dinner plans. I'm thinking seafood. Fishsticks should be easy enough to prepare and if we can get access to a decent enough shrimp cocktail (probably prawn cocktail in Ilworth) of high enough quality to avoid food poisoning would be the way to go. I like exploring Mars as a ghost. It would determine in a hurry if the last piece of Lasker is there. I am wondering how this experience applies to Faraday as it stands. If she has extra energy then it needs to condense inyto something... e=mC^2 and all. If there is enough energy can she condense herself alive? Time for dinner and rat scouting. Hey, do you think that Liz would prefer being a ghost to life in her torturous body? Ask Elizabeth if she would like to try anything. Seems like a safe point to involve her in. I read this comment, and it clicked. Just how dead does Elizabeth want Thale? Now now, just hear me out here. The powers that govern the gauntlet are fair. Likely, the floors will change based on whom enters on the first try. Once set, permanent, but ready to change till then, yes? Remember what else they said? "The forces that oppose you hope that your own hubris will undo you, while the opposite side believes you can handle these challenges and come out stronger for it." In Elizabeths case, that challenge might make her more... unique, more her own person. The battle is less likely to be a physical one. We can also assume that each persons first run will be more attuned to the individual, and we can compare stories to see if this modifies the difficulty curve. I am agreeing with Fuse on the video game comment, and I will state multiple references to DOOM specifically have been made. But I do think giving Liz first run might help HER more than anyone else. The goody at the end is icing on the cake after that. As a side note, in the event that Morgenstern sets the game up more against us than the characters, I would suggest doing some light research into a game(s) titled SHADOWGATE. Many first person puzzle RPGs use this system, but this one is HARDMODE. Good prep homework. 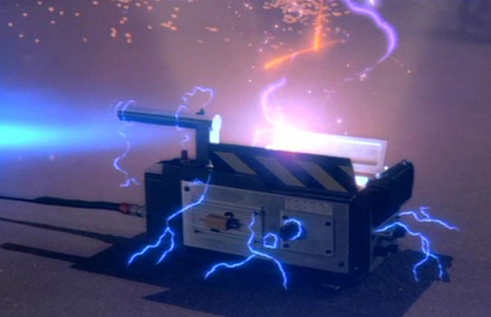 The generator Faraday is hooked up too is essentially taking away his extra bulk, so if an imprint just needs less energy to properly compress and manifest... dosnt that mean we just need to crank up the energy drain?